In response to the recent Equifax security breach you may choose to freeze your credit reports at the major credit reporting agencies to prevent bad actors from opening credit cards or obtaining credit using your personal information. You will find below step by step instructions for first determining if you may have been affected by the Equifax breach and also steps to freeze you credit reporting accounts at Equifax, Experian, and TransUnion. In addition I have also created current step-by-step annotated screen shots of the process for all three credit bureaus which you can download here. These instructions were assembled on Sep/12/2017, updated Sep/26/2017 and are provided as a courtesy, as-is, and to be used solely at your own risk and discretion. A freeze prevents financial services from being approved in your name without your consent. Also, doing this does not affect your score according to the Federal Trade Commission. The effects of this breach are just ramping up. Beyond the lawsuits already underway here are some other practical things to consider. If you’re a landlord, you should get a head start figuring out how you’re going to pull credit when a potential tenant has frozen their credit report. In the short term, you will likely have to become an expert on it and then teach prospective tenants how to unlock their credit reports. That goes for mortgage brokers and other (read all) lenders that rely on credit reports. With respect to your personal data, sorry, but much of that is already out in the wild and replicating through data aggregators. Getting it back is difficult if not impossible. Want to check out something scary, check out the public website www.familytreenow.com. In most developed countries (with the exception of the United States), your personal information and privacy is considered a human right. In the United States our privacy laws are disjointed at best and cavalier at worst. The European Union is putting even stronger personal protections in place on May 25th, 2018 as part of the General Data Protection Regulation (GDPR), including Article 17, the right to be forgotten and substantial fines for non-compliance. If I were a business in the US and collecting or in possession of personal information I’d be paying close attention to the GDPR to prepare for overdue legislative changes in the US. It’s a slog to go through the process of freezing your credit report, and I can assume that un-feezing your credit report will not be any easier. If enough consumers make the decision to freeze their credit report it is going to throw grit into the credit machine and that may not be an entirely bad thing. If consumers want to freeze and un-freeze their credit reporting going forward (and why wouldn’t they) that’s going to place a burden on the credit reporting agencies to service those requests and they’ll have figure out a way to make it simpler. Equifax and Experian should take a cue from TransUnion who seem to understand that, and have a more self-service approach for you to control access to your credit report. 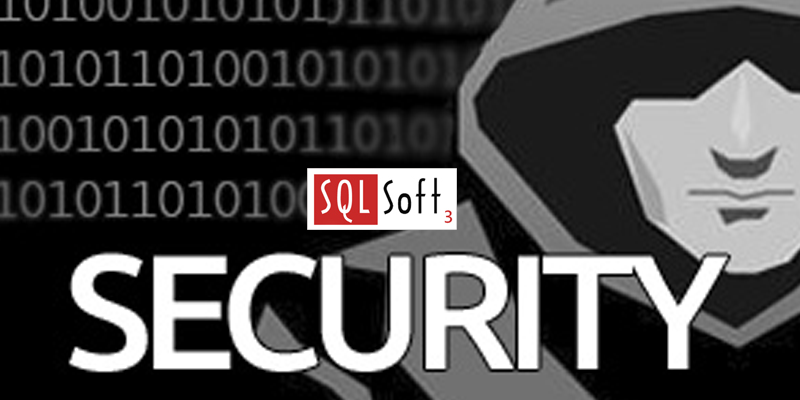 Small Plug – SQLSoft3 does offer cyber security training. Disclaimer – These instructions were assembled on Sep/12/2017, updated on Sep/26/2017 and are provided as a courtesy, as-is, and to be used solely at your own risk and discretion. Choose the button labeled [Click Here to Enter equifaxsecurity2017.com]. Scroll down the page and click the left tile labeled [Am I Impacted? ], or go directly to https://trustedidpremier.com/eligibility/eligibility.html to check if your information may be at risk. Enter your Last Name, last 6 digits of your Social Security Number, and check the “I’m not a robot” checkbox. Read and follow the CAPTCHA instructions when it appears. Press [Continue] after you are not deemed a robot. The next screen will indicate whether your personal information may be at risk. If you do not get an indication that your personal information was impacted you may not want to continue; i.e. don’t freeze your credit reports. Enter your personal information (I know they already lost it). Enter the Code Verification as instructed. Confirm you want to put a freeze on your Equifax credit file. Your Security Freeze Request has been processed! Print the document that appears on the page. You may have to hover over the page for the Adobe menu show up that allows you to print and/or save. After you print out this document put your name on it and put it in a safe place, maybe with your passport or car title but somewhere you can find it. The letter contains a number that will be required to unfreeze your account if/when you need to. If you think freezing your account is tough, I can only imagine what it would take to un-freeze your account if you lose this number. Click on the link Find out how Experian can help at the top of the page or go directly to https://www.experian.com/news/data-breach-five-things-to-do-after-your-information-has-been-stolen.html. Read the page and click on the link Security Freeze in item 5 under What You Can Do Now section, or go directly to https://www.experian.com/freeze/center.html. Click on the Add a security freeze tile. Click on the Apply Online tile. Enter your personal information in the form. Read and accept the terms and conditions if you’re OK with them. In some States you may be further prompted to enter credit card information to pay for the freeze. If this is the case. Next you’ll be prompted with a series of questions to verify your identity. TIP the information you are confirming can be associated with your credit and those relying on your credit like a child or other person you’ve co-signed on a loan with. If you got the questions right you will get some further information about freezing your credit report. Otherwise, if you missed a verification question like me, you will have to make your freeze request by snail mail. The information required and the address to send your request to is listed on the page notifying you your identity could not be verified on line. Click on the [GET FREE TRUEIDENTITY NOW] button on the left of the page or go directly to https://membership.trueidentity.com/tucm/orderStep1_form.page. Fill in your personal information and click the [Submit and Continue to Step 2] button. Create your account with Username, Password, and Secret Question. Click the [I Accept & Continue to Step 3] button if you agree. Next choose and Authentication method to confirm your identity. I chose to receive a passcode via Text Message and then click the [Verify My Identity] button. Enter the passcode you received and then click the [Verify My Identity] button. An Order Confirmation page will be displayed. Click the [Continue] button. Close the popup offer if it appears. Click the [Lock] button under the image of an open red padlock to lock your credit report. Confirm your change by clicking the [Continue] button. You’re done. The lock image should now be a closed green padlock and you should be able to lock and unlock at your discretion going forward. You can find additional information on other steps you may consider on the Consumer Reports website. If you find this information useful please share this post using the links at the top!